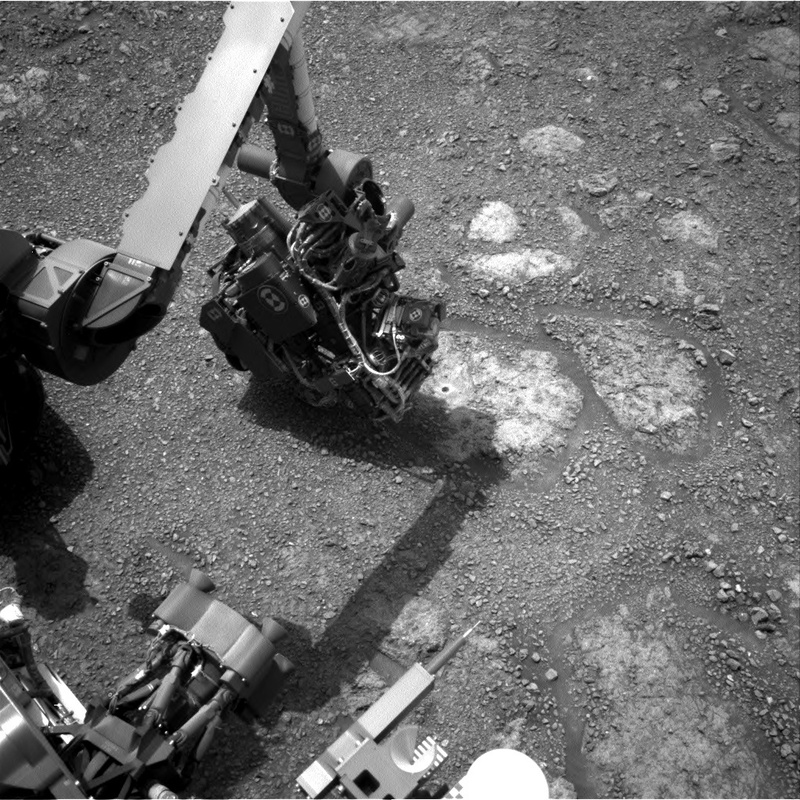 Today we planned a single sol of activities, Sol 2291. As we begin to wrap up our activities at the Rock Hall drill site, Sol 2291 is chock full of science observations. We'll begin the sol with an hour-long science block. Our environmental group (ENV) planned several activities to measure increasing dust levels in the atmosphere; these observations will occur at the start of the science block. Following ENV's activities, the geology group (GEO) planned a ChemCam observation on a soil target near the rover named "Loch Monar" as well as a long-distance Remote Micro-Imager (RMI) image of the sulfate unit on Mount Sharp. Following ChemCam, Mastcam will take images of targets "Loch Monar" and "Stroma." The "Stroma" target is an interesting small rock just in front of the rover. After the science block, we will take a series of images with our MAHLI camera. First, we'll take a 57-frame self portrait (or selfie). Up next for MAHLI is part one of a wheel imaging campaign, which we do periodically to monitor the health of the wheels. We'll take several images today, and more images after we drive later on in the week. Overnight, APXS will perform an analysis on the Rock Hall dump pile. This will be our second observation on the dump pile; our weekend analysis didn't get the entire pile within APXS's field of view. Tuesday is a no-planning "soliday," which happens approximately every 38 days. These solidays allow our Earth schedule to catch back up with the slightly longer Mars day. We will resume planning Sol 2292 on Wednesday.